–Kim Kardashian West is the latest celebrity to get Vogue’s 73 Questions treatment — and it’s the most extensive glimpse we’ve gotten of their weird, blank canvas-y house. How do they actually live there? There’s no furniture! -After weeks of speculation, Wendy Williams filed for divorce from her husband of 20 years amid rumours he had a baby with his mistress. -I wrote a Game of Thrones refresher before this weekend’s premiere and when doing some season 7 rewatching, I realized I had forgotten A LOT. -Meanwhile, James Corden made one of his writers binge GoT in one, 67-hour sitting. –Donald Glover and Rihanna‘s Guava Island, a music-driven, hour-long film shot largely in secret in Havana, is dropping this weekend. 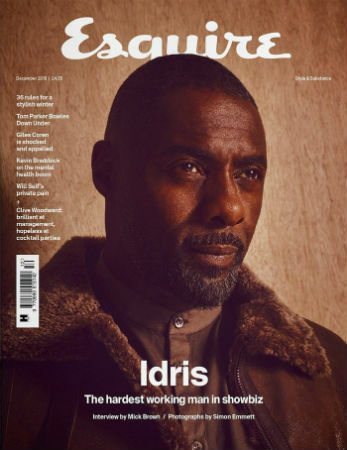 It’s a tropical thriller written by Glover’s brother and costaring Letitia Wright featuring Glover playing local musician character is determined to throw a festival for his island community. It’ll premiere on Coachella’s YouTube channel this weekend ahead of Glover’s headlining set, and stream for free on Amazon. –Drake‘s Euphoria starring Zendaya just got a premiere date and trailer. -I guess people still aren’t over Theranos? Kate McKinnon will play Elizabeth Holmes in a new Hulu miniseries. -Disney’s upcoming streaming service keeps adding new shows. The latest is a Love, Simon spinoff. -Reading this interview with Bret Easton Ellis and seeing how Isaac Chotiner destroys him really made my day. -Netflix released the trailer for Tales of the City, starring Laura Linney and Ellen Page. Oh, I am very in on this! -Speaking of Netflix originals I’m in on, here’s the first trailer for Wine Country, starring Amy Poehler, Maya Rudolph, Rachel Dratch, Ana Gasteyer, Paula Pell, Emily Spivey, and Tina Fey. 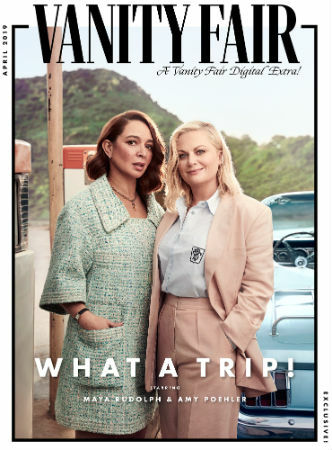 -I honestly cannot wait for Amy Poehler and Maya Rudolph‘s Netflix comedy Wine Country, and their Vanity Fair feature makes me even more excited. –Jennifer Lawrence and Adele delighted onlookers this weekend when they turned up to play drinking games at a gay bar in the West Village. I always forget that they’ve been friends for a while. –Barbra Streisand had to clarify her Michael Jackson remarks after the backlash, saying she feels ‘nothing but sympathy” for the victims. -I thought the trailers were really iffy, so I’m surprised by the glowing reviews Shazam is getting. –Shane West attended his A Walk to Remember costar Mandy Moore‘s Hollywood Walk of Fame ceremony, which warms my cold cold heart. -Netflix’s To All The Boys I’ve Loved Before was directed by a female, but a dude gets the sequel. -The fifth and final season of Jane the Virgin debuts Wednesday and the reviews of the final batch of episodes are gushingly positive. -Meanwhile, while Phoebe Waller-Bridge leaving Killing Eve, the reviews for season 2 aren’t as across-the-board positive as they were in the first season. -I’ll never be brave enough to watch it, but I love that Jordan Peele‘s Us had a historic weekend at the box office. -These two little kids did a cover of Radiohead’s Creep on The Voice Germany and I can’t stop listening to it. -The rumours that Avengers: Endgame might actually be 3 hours long are gaining traction. FML. -18 years ago today Bjork wore the swan dress to the Oscars. Never forget! -Apple trotted out a bunch of big name (mostly white) celebrities to announce their new TV offering today — but we didn’t learn much. It will launch on Apple devices and smart TVs in the fall (meaning they’ll miss this year’s Emmy eligibility). It will be ad-free, VOD (everything downloadable), get new titles added every month, and also allow you to watch your other paid TV subscription services like Hulu and Amazon Prime. But there was no word on pricing, when each show will debut, whether all episodes of said shows will drop at once, etc. But hey, Oprah is doing a couple of documentaries and a book club for them so…yay? -Also, it’s crazy that they didn’t show trailers for any of their new shows — just a quick sizzle reel even though series like The Morning Show, starring Reese Witherspoon, Jennifer Aniston and Steve Carell, has apparently already filmed. And having Steven Spielberg there to shill for Apple’s new streaming service in light of his Netflix stance was beyond odd. –Legends of Tomorrow returns next week and I honestly can’t wait. This show is pure joy. –Meaghan Markle and Kate Middleton were twinning today. –Taylor Swift‘s new $200 million record deal isn’t just huge for her — she used it to help out other artists. In the deal, she got the label to agree to distribute a cut of proceeds from any sale of its Spotify shares to artists, non-recoupable — meaning that they’d be paid even if they hadn’t earned back their latest advance. –Drake fans are being blamed for a brawl at Pusha T’s concert in Toronto that saw one man get stabbed. –Ellen Pompeo is getting a lot of buzz for her soundbite about diversity on sets, but the whole conversation with her, Gabrielle Union, and Gina Rodriguez is worth watching. Oh, Emma Roberts was there too. –Maya Rudolph, Amy Poehler, Tiffany Haddish, Chelsea Perriti and Amy Sedaris star in Google’s Friendsgiving ad that’ll debut during the Macy’s parade and the bts footage is very cute. -Remember when Gwen Stefani used to be the coolest MF alive? What happened?! –Mandy Moore got married this weekend. I’m not sure I’m sold on the dress. –Joshua Jackson has a new girlfriend and he looks so happy in these photos that it dims my jealousy. Slightly. –Bradley Cooper decided to stay in character while behind the camera in A Star Is Born for maximum authenticity. Of freakin’ course he did. –Brad Pitt is trying to distance himself from those shoddy post-Katrina homes. He asked a judge to dismiss a lawsuit against him after claims his foundation Make It Right built inadequate housing. -In a new interview, Leah Remini claims Tom Cruise “personally administered punishment on a high-ranking member” of Scientology on the orders of Church leader David Miscavige. -Here’s a photo of a bearded and buff Zac Efron on a horse, just because I love you. -Hollywood just can’t stop with the reboots. Michael C. Hall says he’s open to the idea of a Dexter reboot, while CBS is working on bringing back Northern Exposure. -LFO singer Devin Lima has died at 41 after a battle with adrenal cancer. Another member of the three-man pop group, Rich Cronin, previously died of leukemia. -The prosecutors in Harvey Weinstein‘s sexual-assault case say his lawyers are turning it into a “public circus,” and insist that their case is still legally viable. -Game of Thrones star Natalie Dormer and her fiancé have split have 11(!) years. -Speaking of splits, Robert DeNiro is separating from wife after 20 years of marriage. –Chrissy Teigen was on Ellen and got Michael B Jordan to admit that’s he’s hooked up with girls who’ve slid into his DMs. She should co-host every day! -I’m really bummed that the critically adored Widows is doing so poorly at the box office. Hopefully the holiday weekend will turn things around. -It’s been 10 years since Twilight hit theatres so Vulture is celebrating the most intentionally funny scene in movie history: the vampire baseball game. -Why do we still listen to anything Bill Maher says? Like, ever? –Keanu Reeves becomes obsessed with bringing back his family members who died in a traffic accident in the Replicas trailer.